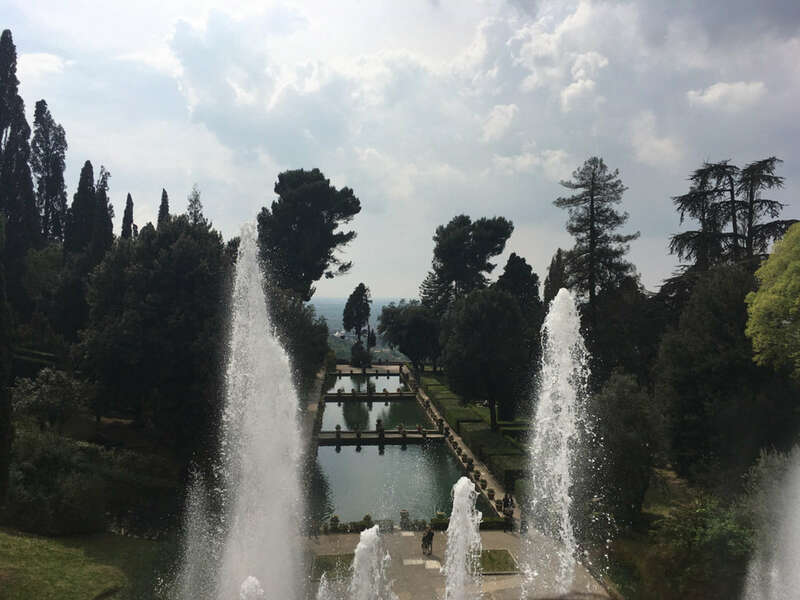 Since thermal waters were discovered in the hills east of Rome in the 1st century BC, Tivoli has been the retreat of the city's rich and famous. 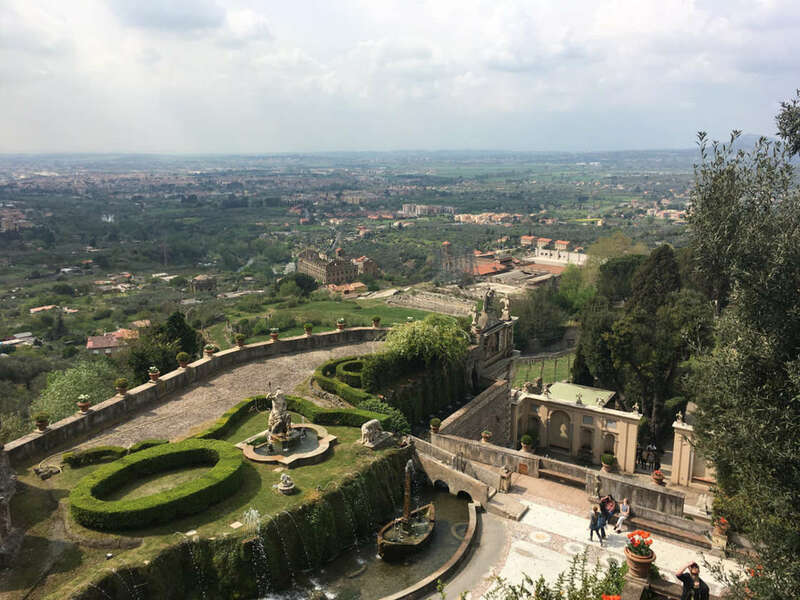 Set atop a mountain overlooking the Roman countryside, the picturesque town of Tivoli is a mix of both modern and medieval. 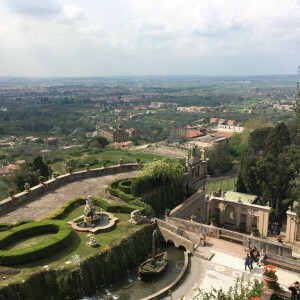 Today, two of Tivoli's major sites—the ancient villa of the Emperor Hadrian and the Renaissance garden of Cardinal d'Este—provide the settings for one of Context's most evocative tours. This unique, full-day Tivoli tour takes us beyond the city's center on a day trip from Rome to Tivoli to experience the history of the Apennine Mountains. We begin by taking an hour-long private car ride to Tivoli. As the car winds along the foothills of the Apennine Mountains, our docent, an art historian or archaeologist, will discuss the historical context of this area: the discovery of thermal springs and the construction of therapeutic baths in the 1st century B.C., as well as the exploitation of the travertine limestone veins that would eventually provide most of the travertine for the city. 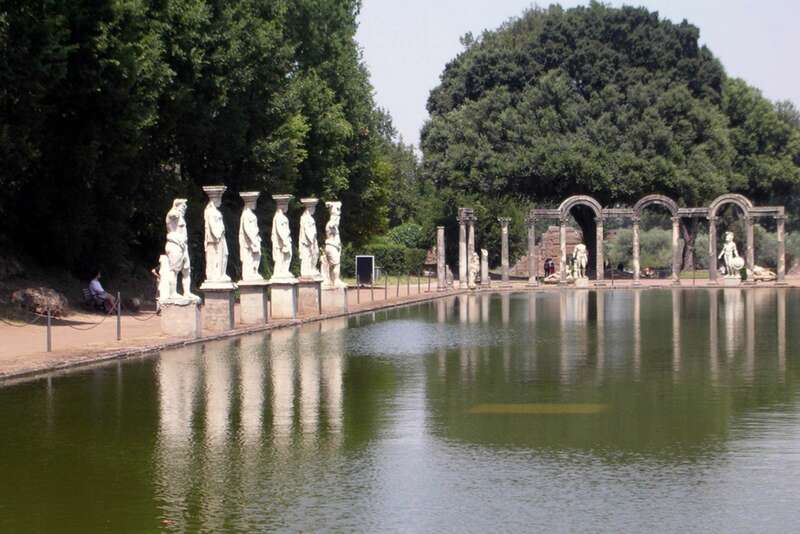 We will then arrive at Hadrian's Villa, the palace and retreat of the Emperor Hadrian, constructed in the 2nd century AD at the height of ancient Rome's powers. 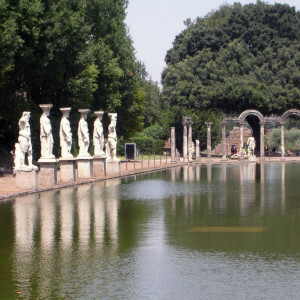 Hadrian's Villa is fundamental to understanding Roman antiquity, architecture, and the watershed reign of Hadrian. One could spend days here, but in the company of our docent we will dissect the site in about two hours, visiting some key parts in order to re-imagine what this 300-acre structure once looked like and—more importantly—how it affected the construction of villas for the next two thousand years. Our understanding of Hadrian's architectural legacy will give even more meaning to its Renaissance echo: the Villa d'Este. Our next stop is the 16th century mansion of the exiled Cardinal Ippolito d'Este, where we will be taken by our private car service after exiting Hadrian's Villa. 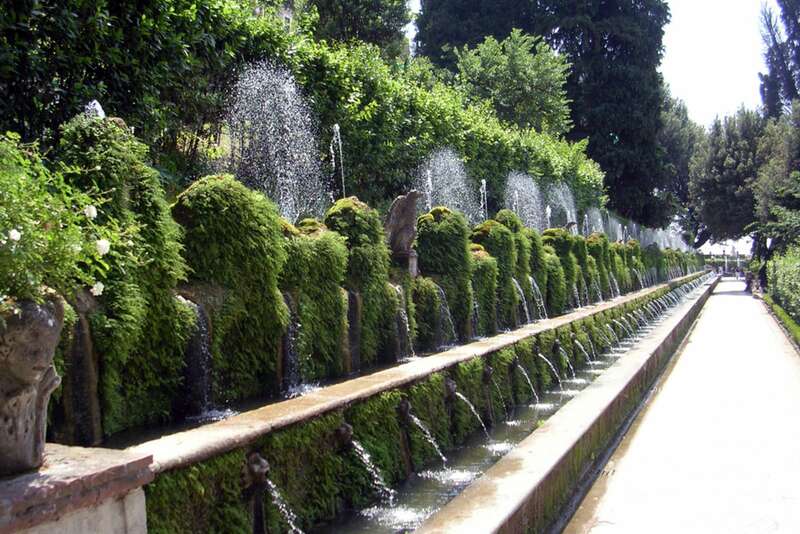 After we have lunch in the center of Tivoli, we will descend into the gardens of Villa d'Este. After much restoration, it serves as one of the best preserved garden complexes of the Renaissance. 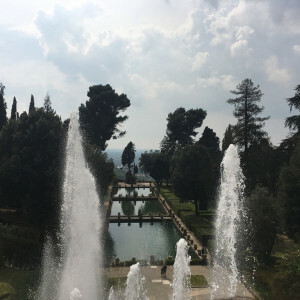 With its numerous and magnificent fountain features, the Villa d'Este is famous in all of Italy for its lavish presentation of that most prestigious resource: water. 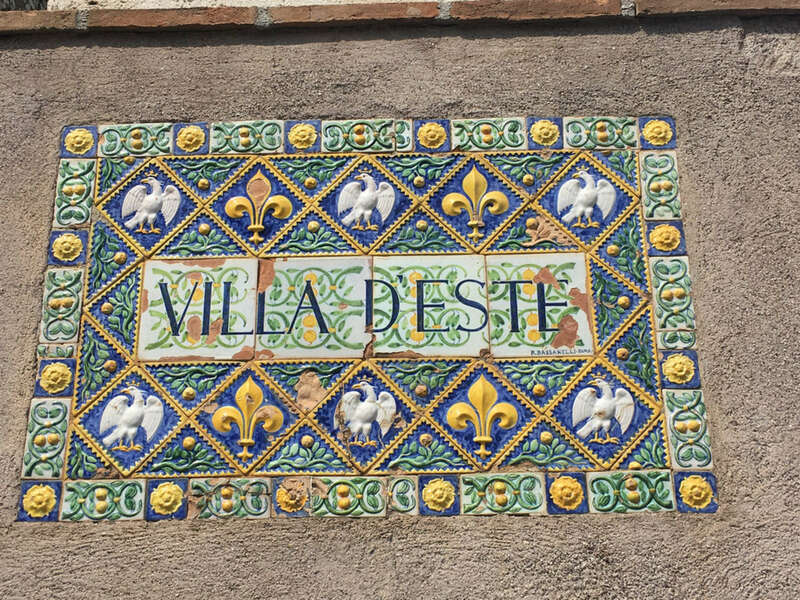 As we make our way through the garden rooms, we will make connections between d'Este and Hadrian's Villa. Some of these will be conceptual—the use of water as an architectural material, for example. 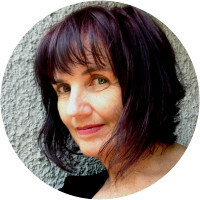 Others are quite physical—much of the building material in the garden, for example, was pilfered from the ancient villa. 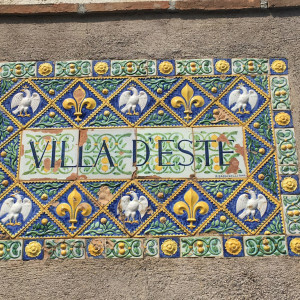 We will conclude our day by taking a stroll through the wonderfully intact medieval core of Tivoli, and return to Rome. There is a large amount of hilly terrain covered at both sites on this excursion. The entrance of Hadrian’s Villa from the ticket barrier is a steep walk and the site is overall extremely uneven with lots of steps. Villa d’Este is pretty much vertical and a half hour giro is very limited. We do not recomend this tour for people with mobility concerns. Where does it start? Where does it end? 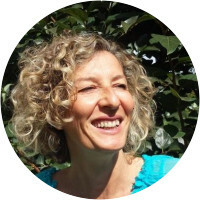 For group tours, you'll meet the car and docent near Termini station in Rome. You'll also be dropped off here at the end of the day. If you're booking a private tour, the car service will pick you up and drop you off at your hotel. How long is the car ride? 1 hour each way. Is the travel time included in the 7 hour duration? Yes. Are there entry tickets? Yes, you will buy tickets on-site (€22 per person). The ticket booths do not accept credit cards. Be prepared with cash. Can we do a half-day tour? On a private basis, yes. We can do a half-day excursion by cutting down the day to 4.5 hours and choosing either the Villa d'Este OR Hadrian's Villa. It takes about 45 minutes each way in terms of driving time. This could be started at 8:30am, returning around 1pm, or it could start after lunch at 2 pm, returning to Rome around 6:30pm. The cost would be €365 for the time with the docent and €270 for the car service. Entry tickets are not included and are paid for on site. 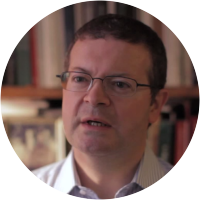 Frank is an art historian and studied at Oxford University and the Courtauld Institute of Art. He is a former fellow of the Metropolitan Museum of Art and lectures for the museum throughout Europe. After many years in New York, he returned to Rome, where he was raised, and is now part of the art history faculty at Temple University Rome. Livia was a terrific guide with a wealth of information and a lovely person. We enjoyed the day very much! Amazing tour of Hadrian's Villa with Livia. Livia was an absolutely amazing guide -- there was not a question she could not answer. Hadrian's Villa was far more than we could have imagined and was exactly what our ten year old son wanted to see, having hiked Hadrian's Wall between England and Scotland where he first became fascinated by the Romans. Every guide we had throughout our tours commented on how much our son knew about the Romans -- more, some commented, than most adults they had on their tours. Doing Hadrian's Villa and Villa d'Este in one day is a lot, since Hadrian's Villa by itself is so vast. 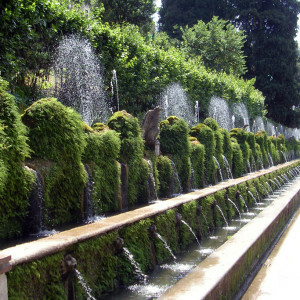 But we definitely enjoyed seeing the fountains and gardens at Villa d'Este, even though it was a push to get it all in.